A super light and deceptively warm down sweater. Moderately roomy cut allows some layering underneath. 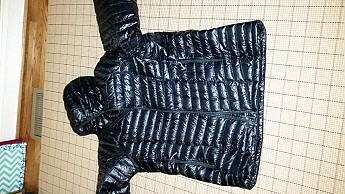 In keeping with the jacket's absurdly light weight, the nylon is extremely light, and zippers feel almost fragile. Does exactly what it is intended to do, and should be a keeper. These are my initial impressions of this down sweater, a new purchase. I'll have to wear it more to assess some aspects of how it performs. So far, I'm very pleased with it. 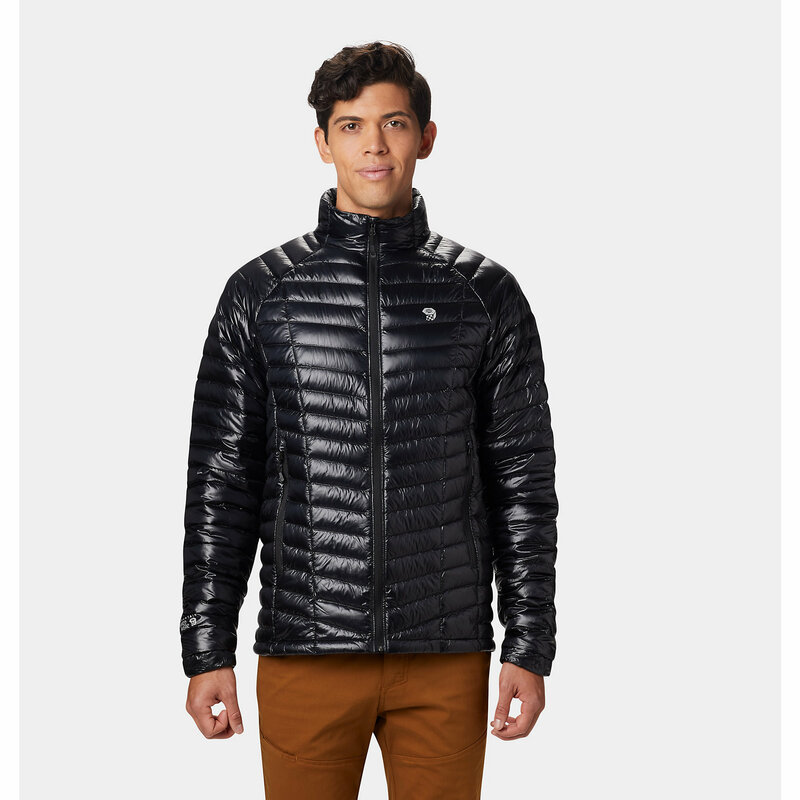 The Weight: This jacket is so light that it barely registers on a digital hand scale. My size XL is clearly under 8 ounces. that's for a hooded down sweater. Awesome. and, a jacket this low profile fits easily under a shell. The Fit: The jacket is cut medium. I would not call it fitted, and it is not billowy or overly roomy. I can wear a thick base layer underneath but would not want to wear a heavy fleece under it. I normally wear a size XL, and this runs pretty much true to size. The arms are on the slightly long side. Range of movement and motion is pretty good. The hood has no adjustments, and it is low-profile — you won't be wearing a helmet under the hood, but it doesn't easy blow off your head if you zip the jacket all the way up because it is elastic around the edges. The Materials: As light an outer shell as you will find. 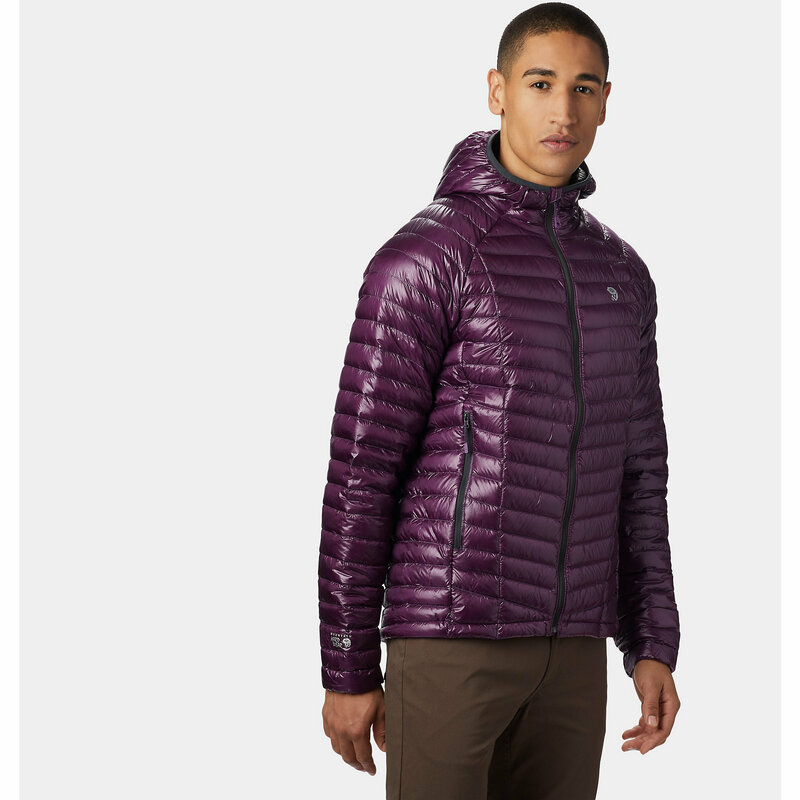 It's too early to comment on durability, but I wouldn't want to bushwhack in this jacket. The material stops the wind pretty well; because the seams are sewn through, strong breezes can penetrate a little, and this would be better off worn under a wind shell in those conditions. the nylon is a little 'noisy' in the wind. Zipper pulls are light but usable, both the front and the two zippered pockets, though the zippers feel light and don't pull totally smoothly. In my experience, light zippers can get smoother over time. We'll see. The jacket also has a single pull and cord at the hem to tighten it. The main zipper is backed by a narrow draft-stopping strip. down is 800 fill power and claims to be treated to resist moisture — I haven't tested that. I also haven't tested the shell in damp weather; it may have a water repellant treatment, but like any down jacket, it's not a raincoat and probably wets out in a decent or steady rain. The cuffs have elastic, but sewn into the inside of the cuff. It's an interesting design choice. The elastic is not terribly firm. It doesn't pull tight to my wrists. That said, the jacket is so slim and light that the cuff fits easy with warm gloves. 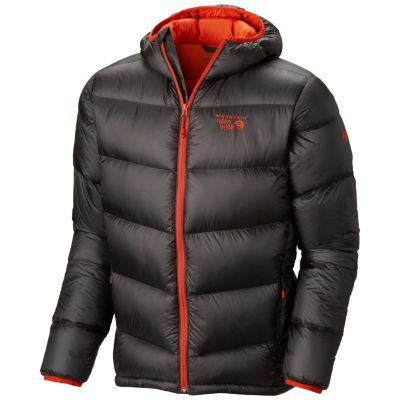 Warmth: You won't believe a jacket this lightweight can keep you so warm. Right after I took delivery, the mercury dropped into the high 20's and low 30's here. I have worn the jacket with a light base layer and long sleeved cotton shirts, and I was fine, comfortable, particularly while using the hood. 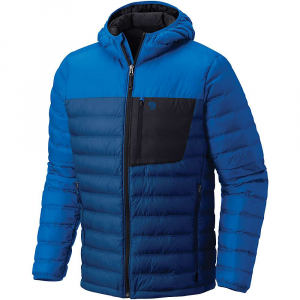 I have a Patagonia Down Sweater that has marginally greater loft but no hood; I haven't been able to feel much of a difference, and that is probably due to the hood. Initial Impressions: I will have to wear this more to get a better sense of how it works outside, what its limits are in terms of cold or wet weather and durability, but it's a well-designed, well-executed jacket that is an absolute pleasure to wear because it fits well, covers the basic functions you need, and is so light you almost feel like you aren't wearing a jacket. One notable downside, at full price, this is pretty darn expensive. It took an end-of-model-year sale and a gift card for me to pull the trigger. I'm glad I did. 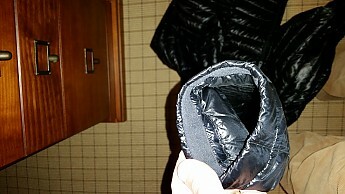 I have to be careful with my xxxx brand down jacket, I feel the same way about its weight/fragility. I also rarely wear it without another protective outer layer, especially if I'm holding the housecat. Great detailed review! Thanks, Andrew. Keep us posted on how it fares. 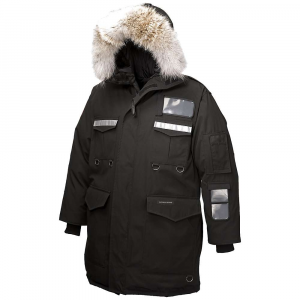 I bought one a month ago,..Best purchase so far..I've gotten it down to 10 degree's with wind with the right layering..Its my camp jacket.Yes its pricey but its the weight that made me buy it..
Nice review, Andrew! That weight for that comfort range and includes a hood, not too shabby! I am 5'10" 185 lbs. 42 chest; 33 arms; 34 waist; 16.5 neck . I bought a Large. 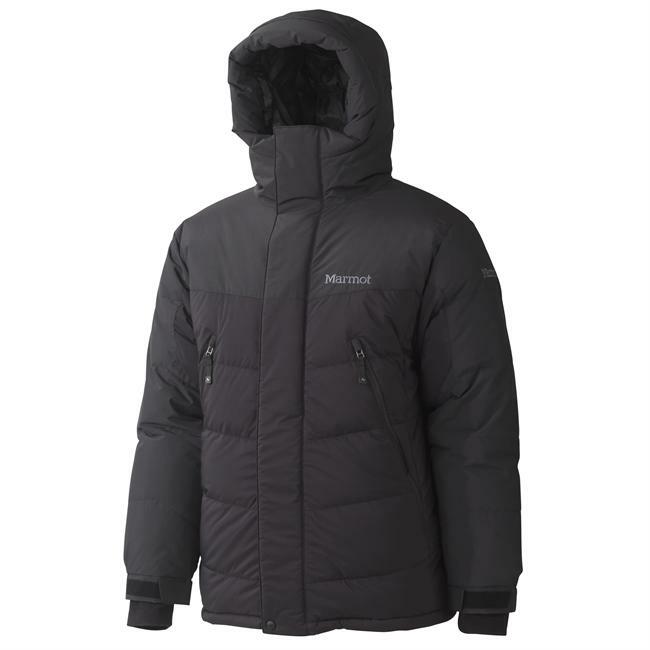 I can fit this over layers (shirts, sweatshirts, midweights), but it also fits under my shells (Arc Beta AR in M and Marmot Pro Tour in L). I bought a Patagonia Ultralight Hoody and this at the same time as they were both on sale. Luckily I live in the country with no neighbors because I probably looked pretty goofy going out and doing walking laps in my yard alternating between the two to see which I liked better. My conclusion was that the Ghost Whisperer was better. 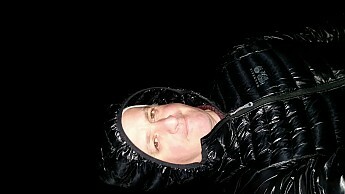 The temps were about 0-5°F with a light wind and the hood with elastic stays tighter around your head and keeps you warmer. I also felt less air seep through the stitching. 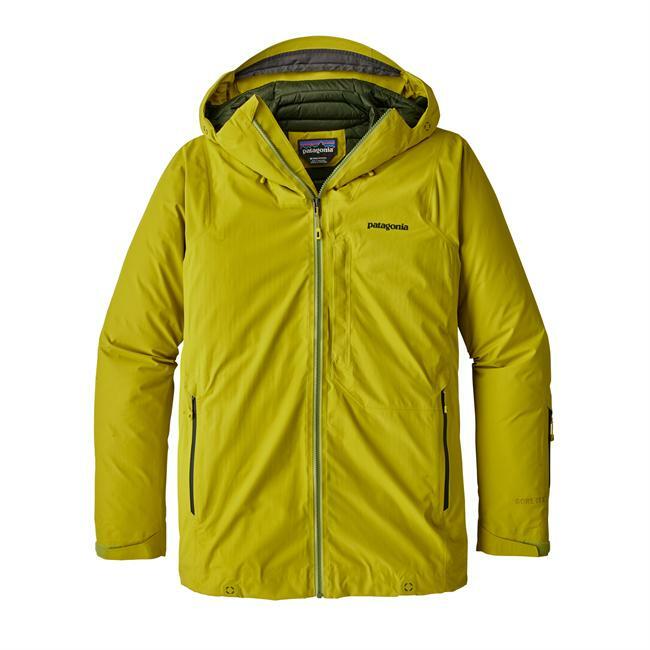 I think the Patagonia is better looking and the hood is better looking just as OutdoorGearLab stated. The Pat is the better coat for around town, but the Whisperer is more effective. The material is light and fragile so I will almost always have it under a shell.